With US's shared mobility sustainability in question and regulation disruption, Ninebot's self-balancing vehicles cannot expect high growth as it used to. Yet, opportunities emerge in its Segway Robotics as service robots. Urban transportation has been reshaped again and again. Shared bikes and e-scooters - the proliferation of cheap alternatives to cars and mass transit - have come into shape to grapple with the “last mile” and to address traffic jams and environmental problems. 2018 witnessed U.S.’s explosive craze for sharing e-scooters, with investors pouring into more than USD 1 billion to back up e-scooters rental start-ups like Bird, Spin and Lime, etc. ; big players like Uber and Lyft entering the game. However, cause for concerns, such as product defects, road safety and city regulations, is raised, leaving behind skepticism about the sustainability of U.S.’s shared e-scooter industry and the future of its major manufacturer in China. Segway-Ninebot’s business is risking being the collateral damage given it capitalizes on the boom with an essential 80% share of the U.S. e-scooter supplies. The trade frictions between China and U.S. also impacted its business in 2018. Backed up by Chinese smartphone tech giant Xiaomi (小米), Ninebot was invested as part of Xiaomi’s Eco-chain (小米生态链) set up to seize the opportunities of IoT (Internet of Things) and disrupt consistently in the future Internet, new retail and smart hardware landscapes. It became the once-buzzy self-balancing scooter maker - Segway’s - parent company in 2015. The two continues operating separately but are in a strategic alliance to produce smarter and greener short-distance transporters. Later in 2016, Segway filed for complaints accusing its Chinese and global competitors of patent infringement and succeed in requesting the USITC (US International Trade Commission) issue “a general exclusion order, a limited exclusion order, and permanent cease and desist orders” directed at them, meaning that unpatented competitors were not allowed to enter the US market and facilitating Segway-Ninebot’s dominance. Meanwhile, it obtained US UL (Underwriter Laboratories Inc.) safety certification, making it the world’s first to have passed UL2272 safety standard tests (a benchmark for user safety) and ensuring the company’s leading position in the field of self-balancing vehicles technology and standard-making. Apart from mobilizing capital acquisition to create and secure a technological barrier, Ninebot’s success can also be attributed to its technological innovation that has greatly cut down the costs of production and the advantages that Xiaomi’s Eco-chain granted it with battery and other components. The average price of Segway before was approximately USD 13 thousand but Ninebot reduced it to USD 500-800, thus making the self-balancing electric vehicles more affordable for a larger audience. This sounds like the tactic Xiaomi deploys: to sell high-quality products as cheaply as possible to as many people as possible worldwide. As of the Series C funding in 2017, Ninebot’s best seller among its product lineup had been the Xiaomi Ninebot No. 9, offered at a favorable price USD 340 (CNY 2300). Yet, self-balancing vehicles - as a gear in itself - still have dissatisfaction regarding the user experience. The scenarios where people would like to use a e-scooter or hoverboard are limited to urban cities with good traffic infrastructure bases and the weather. Riding one on a bumpy road or up/down a steep slope/hill might cause danger to the user as well as other people (pedestrians, vehicle drivers and cyclists, etc.). Greater risk issues arise if there’s speeding and terrible weather conditions coming such as rain, thunderstorm, heavy snow and so on. Moreover, standing on a self-balancing vehicle for too long would be uncomfortable or even exhausting because the body needs to keep an up-straight posture while the mind needs to be focused on different road conditions. What’s mentioned above affects their frequency of use, posing the question of how long the product lifespan should be to generate business value while making the user stay tuned for new launches. Well aware of that, to develop Ninebot’s “To C” business, it tried with a wider range of product portfolio - both for short-distance mobility tool or for entertainment – in order to catch the eyes of children, teens, gear geeks and people who want to add some cool sense as part of their lifestyles, just like how GoPro and Dji (大疆) drones made it. Back in June 2018, it offered the first e-skates called the Drift W1 at a price USD 465, an eye-catching nimble gear for fun and tool. But the riding experience was reported not as cool as it seemed, easy to tumble and hard to brake. One month later, it announced a new kit that could be attached to its scooters to convert them into drifting drivable go-karts (full pack at USD 1149). As usual, safety is always been at the center of disputes as for this kind of driving in streets. Also, with a top speed of 15 miles per hour that can last around 3.5 hours, the Segway go-kart can only reach a maximum distance of 12 miles which is not enough to cover the average commuting. These fun gimmicks aimed at group playtime and personal styles have contributed to keeping a larger audience curious: children and commuters. However, it remains to be seen whether they can turn them into loyal buyers or generate business revenues. In some U.S. and Chine cities, under stricter municipal regulations, self-balancing vehicles are not allowed to go on public roads, making it harder to use it as a commuting tool. Additionally, as new technology makes these vehicles more durable (might result in decrease in demand), worrisome road safety accidents and scandals about low-quality products bursting into flames, the growth for its “To C” self-balancing vehicle business in the long run would be difficult to attain. Therefore, a better way out for Ninebot’s future growth lies in its Segway Robotics which it started and co-operated with Intel in 2015 as its business diversification. At CES (Consumer Electronic Show) 2016, its personal transporter as well as a personal butler Segway Rober made its debut, demonstrating the company’s taking aim at service robots. The modular was capable of sensing its surroundings, monitoring and helping carrying items. 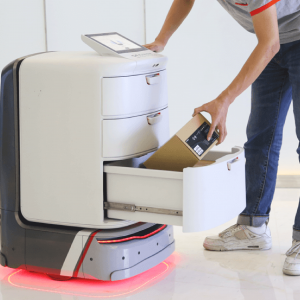 This year at CES 2019, Ninebot took it further and exhibited its first autonomous delivery robot Loomo (路萌) Delivery, designed for “last-mile” deliveries of packages in office buildings or malls. For unmanned robots that can fulfill delivery tasks and be applied to nuclear, military-related industries, wheeled robots are the most efficient and maneuverable. Ninebot, as a maker for self-balancing wheeled devices, has an unapparelled advantage. Its CEO Gao Lufeng (高禄峰) noted in an interview that Ninebot held a majority ( a claimed 99%) of tech patents in terms of wheeled robots. 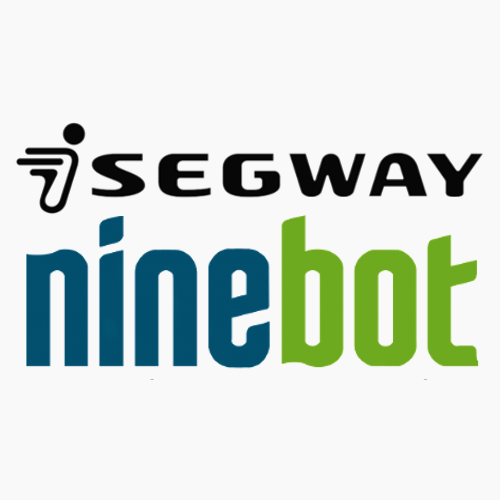 The Segway-Ninebot patented gyroscopic self-balancing technology allows robots to move and respond quickly. Its partnership with Intel added to the accurate computer vision capability of the robots. Accross the board, Segway Robotics’ future growth can be anticipated in its integration with AI tech to empower digitally-optimized logistics, streamlined supply chains, smarter IoT that makes life more convenient as well as to fill in the gaps of human limitations. In 2015 Ninebot strategically merged with Segway, headquartered in Bedford, US. The combined company focuses on the research and development, design, manufacturing, distribution and sales of short-distance transportation products.